Cover photo by Adam Barker. 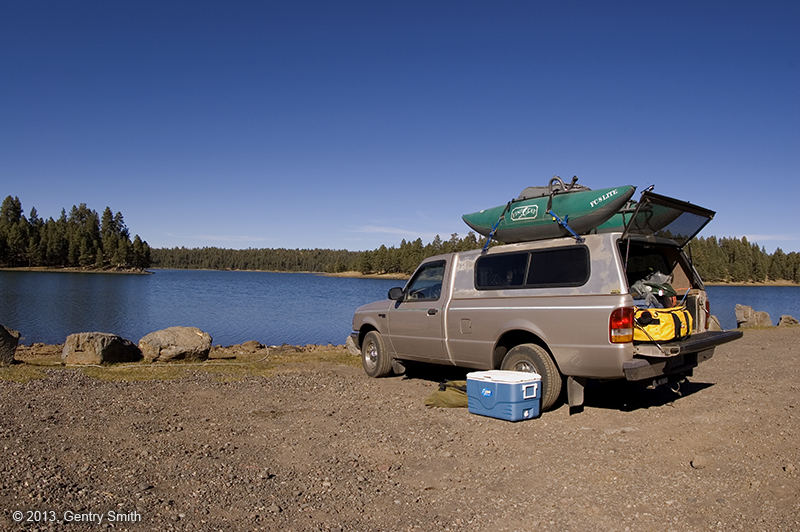 Like most trips to Hawley Lake, ours begins by stopping at Hon-Dah Ski and Outdoor Sport—a small angling and ski shop located just south of Arizona’s Pinetop–Lakeside community on Arizona Route 260—where we pick up our required tribal permits ($9 daily/$100 annually). 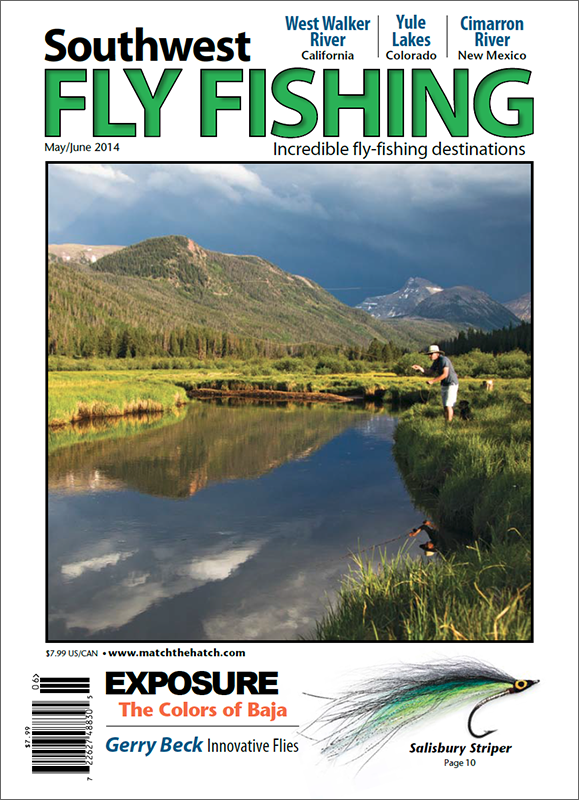 Additionally, we obtain the latest fishing reports trickling in from the White Mountain Apache Reservation’s lakes and streams. 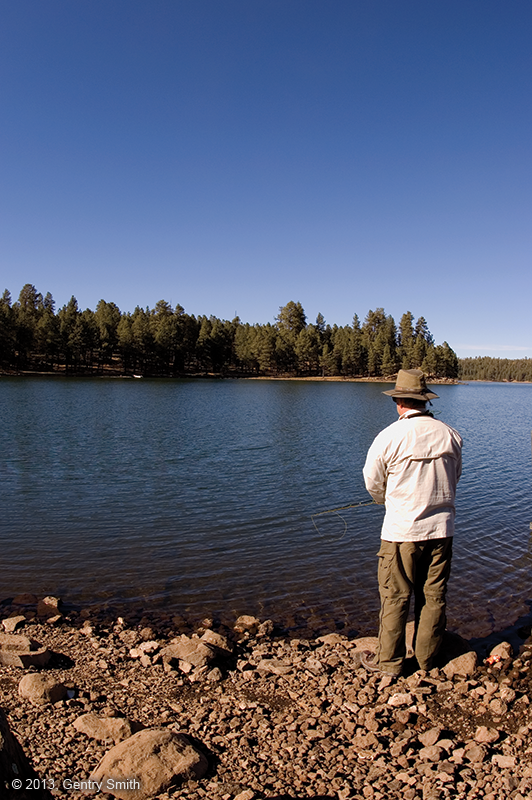 The reservation offers several fisheries for anglers to explore. 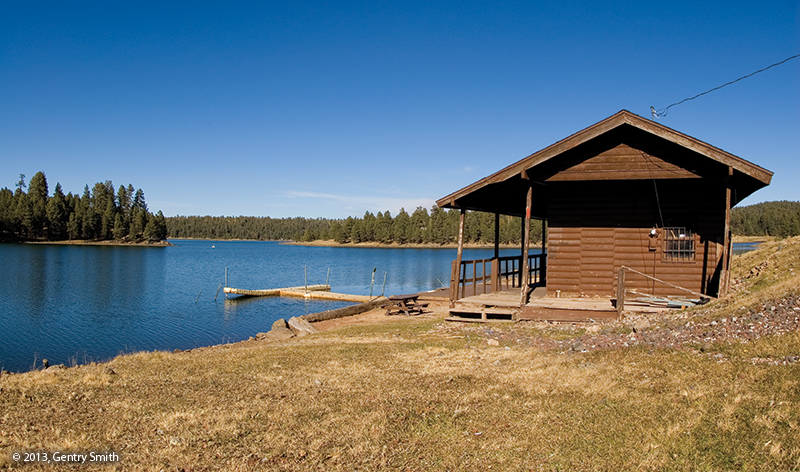 However, because it’s the fall season, our interest lies specifically with Hawley Lake’s large resident brown trout. Once the conversation drifts in this direction, we learn that the browns are already displaying prespawning behavior, which is extremely encouraging. Joining me and my angling companion, Joe Staller, on this adventure is our good friend and local fly-fishing expert, John Rohmer. Coauthor (with Charles R. Meck) of Arizona Trout Streams and Their Hatches and founder of White Mountain Lakes Foundation (www.wmlf.org), Rohmer is also renowned for his original fly patterns and innovative fly-tying materials, John Rohmer Materials, www.azflyfishing.net. Recently, he’s been developing a new soft-plastic egg material similar to the eggs used by steelheaders and he’s invited us to help “field test” his working prototypes. Outfitted with a bit more knowledge than when we arrived, we head down the road. Continuing south on Route 260, we pass Hon-Dah Casino and Resort, before turning right onto State Route 473. At this point, we start following the signage along the well-maintained road leading to Hawley Lake. A word of advice: a good map will benefit those not familiar with this area. It’s easy to get lost on the reservation. Spanning 260 surface acres when full, Hawley is one of the largest and most popular of the White Mountain Reservation lakes. Due to its size, Hawley is typically best fished from a watercraft. Contrarily, the browns move in tight along the banks during the fall spawn making a boat less necessary. The tribe primarily manages Hawley as a put-and-take trout fishery, which attracts anglers in great numbers, fly and spin alike, to its abundant lakeside camping spots and rustic cabin rentals—especially in the warmer months. During the cooler months, however, Hawley Lake seems more like a ghost town. This observation is further evident as we pass by the remnants of Hawley’s once-thriving lakeside resort—a reminder of a time when non-Native Americans could lease property as part of a 20-year agreement with the tribe. Subsequently, these leases were never renewed, and, as a result, these abandoned homes were left to deteriorate until the forest returns them to a natural state one day. Alive with color and wildlife, the reservation wilderness is a beautiful sight this time of the year. Approaching the lake, we spot a band of feral horses running wildly through a grassy meadow. The surrounding scenery includes tall pine trees and scattered groves of aspens set aglow with autumn’s fiery yellow leaves. Making our way to the water’s edge, we notice the leaves are not the only thing burning here. 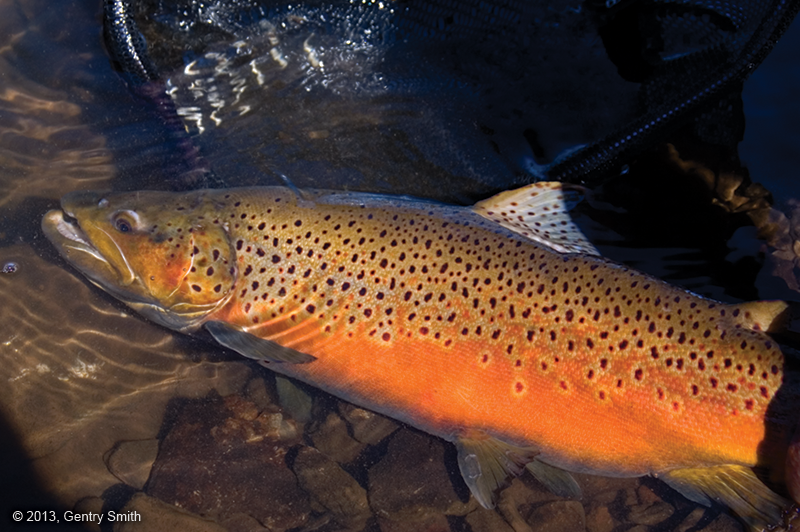 There, beneath the lake’s shallow surface, we mark the object of our quest: brown trout—spawning brown trout—their bright orange sides radiating like hot embers as they swim in and out of view. We’ve found fish; however, this is only half of the challenge at Hawley. Catching them is an entirely different story. Suspending Rohmer’s egg patterns below strike indicators, we witness fish after fish ignore our offerings as the males relentlessly chase the females. It’s becoming increasingly apparent this will be an exercise requiring grit and composure on our part. While the fishing is less than expeditious for the browns, we make the most of our time by landing several 10- to 12-inch rainbows in the deeper water. Rohmer’s advice is well received—and through our patience and perseverance, we’re eventually rewarded with a couple of trophy-class “Hawley Hawgs”—their size more than making up for their lack of numbers. Hawley Lake can be fished spring, summer, and fall; however try targeting early spring and late fall for big browns. 4- to 6-wt. rods, floating and sinking lines (intermediate , type-2, or type-3), 3X–5X leaders, indicators, split shot. Zebra Midge, Griffith’s Gnat, Simi Seal Leech, Arizona Peacock Lady, adult damselfly patterns, hoppers, Stimulators, foam ants, Pheasant Tail Nymph, Hare’s Ear Nymph, Prince Nymph, Copper John, Woolly Buggers. Boat or personal watercraft, PFD and other safety equipment, waders, net, sunscreen, polarized sunglasses, hat with brim, rain gear, drinking water.